Put personality into houseplant and patio container designs with Michelle Pfluger from Green n’ Growing Garden Center & Gifts. See when to give a plant a singular spotlight or how to layer dramatic dimension. On tour, designer Leah Churner charms up a small balcony without breaking the bank.Daphne answers viewer questions from pathogens to insects on trees and plants, including why healthy roses started wilting and developed black stems within days. Plant of the Week is viewer-recommended kangaroo paw for brilliant color all summer. Since the heat is on, John Dromgoole makes watering easier and efficient. Put personality into houseplant and patio container designs with Michelle Pfluger from Green n’ Growing Garden Center & Gifts. See when to give a plant a singular spotlight or how to layer dramatic dimension. Why healthy rose wilts and stems turn black? We’ve got lots of questions this week, from pathogens to insects. Joan Luedke’s white rose bushes are usually full of blooms, but recently, they started wilting and now the stems are completely black. We suspected a microbial problem, so we checked with Texas A&M Extension plant pathologist Kevin Ong, who suspects phytophthora, a soil-borne pathogen that causes plants to crater and die, seemingly overnight. First, dig up and toss this plant, then allow the soil to dry out completely; phytophthora is usually only problematic if the soil is staying too wet. Be sure that there aren’t any drainage issues in this area and wait awhile before replanting. Unfortunately, once you have it, phytophthora will always be in the soil, so you want to control the environment as much as possible, to ensure that it can’t become a problem again. Two years ago, Nance Highum’s yaupon holly was covered with tiny scale- like bugs and looked unhealthy. Topical treatments for the scale insects did no good, so reluctantly she used a root systemic which seemed to help. This spring the tree budded out nicely but now the foliage is dying and it looks sparse. Unfortunately, scale insects are not normally gotten rid of with a single treatment, and usually once their population booms on a plant, it’s pretty stressed and may never fully be rid of them and recover completely. But to give this yaupon a fighting chance, she should prune out all of the dead branches and twigs, to encourage new growth. 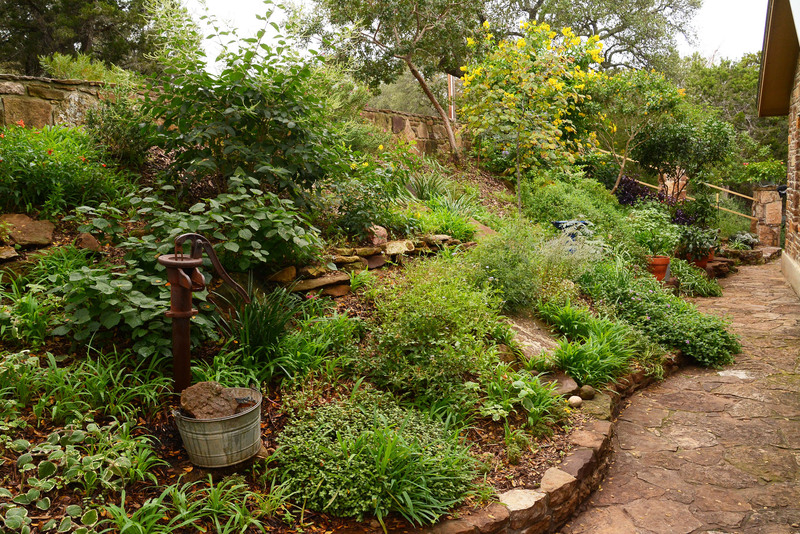 Also, supplemental irrigation, if there’s no rainfall, and a little fertilizer to kick start growth, will help, especially during the early stages of recovery. Next, what’s this damage on Tinh Bui’s oak tree? Was it caused by disease, insects or animals? These are twig galls, caused by gall wasps. Similar to leaf galls, twig galls are tissue created by the plant in response to insect infestation, to protect the growing larva inside. The galls on this tree have decayed and begun to break apart, now that the adult insect has emerged and vacated the premises. Gall-inducing insects usually cause minimal damage, to smaller twigs, not larger branches, so just keep an eye on the problem. The insects are gone now, so there’s no need to treat. Can I plant pluots in Midland? And from Basin PBS, Mark Patton in Midland asks, “Can I plant pluot trees in Midland?” We asked Texas A&M Extension fruit specialist Jim Kamas for his advice. He says that he’s seen them around Texas but notes that they usually have problems in our climate, since they were bred for California conditions. Unfortunately, here in Texas they don’t bear fruit consistently, they’re finicky about pollination, they’re very cold sensitive, and they’re susceptible to leaf spot and bacterial canker. Anigozanthos spp. Our plant of the week, kangaroo paw, comes from KLRN San Antonio viewer Janet Morrow. She reports that this Australian plant does quite well for her in containers and in the ground. Listed as hardy only to Zone 10, Janet reports that they may or may not come back after winter in her Zone 9A garden, though hers have returned when pruned to the ground in winter, treating them as a perennial. Kangaroo paw needs full sun, good drainage, and very little water. There are many varieties of sizes and colors. 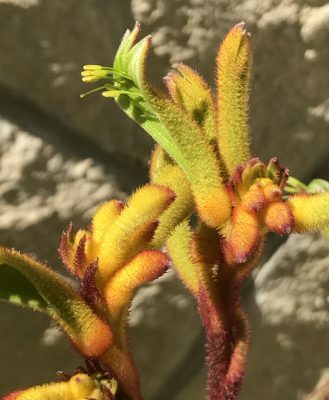 Some may get to six feet tall in other climates, like California, but Janet’s are smaller ones which she jokingly calls “Wallaby Paws.” Kangaroo paw bears tubular velvety flowers that spike from grassy foliage. Janet tells us that they bloom continuously in warm weather if you remove spent flower stalks from the base. Hummingbirds and butterflies love them, and they also make long-lasting cut flowers. 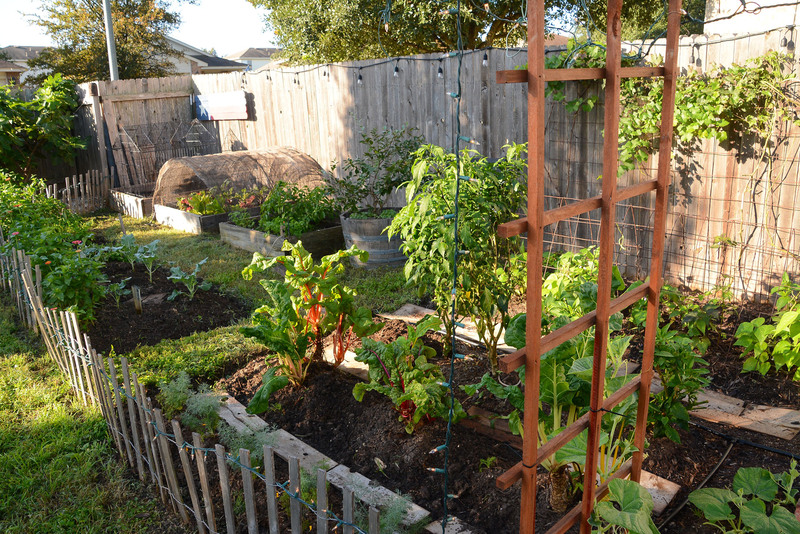 Since the heat is on, John Dromgoole makes watering easier and efficient.